Abstract Red Nail Art - Polish Etc. I think I've gone insane... 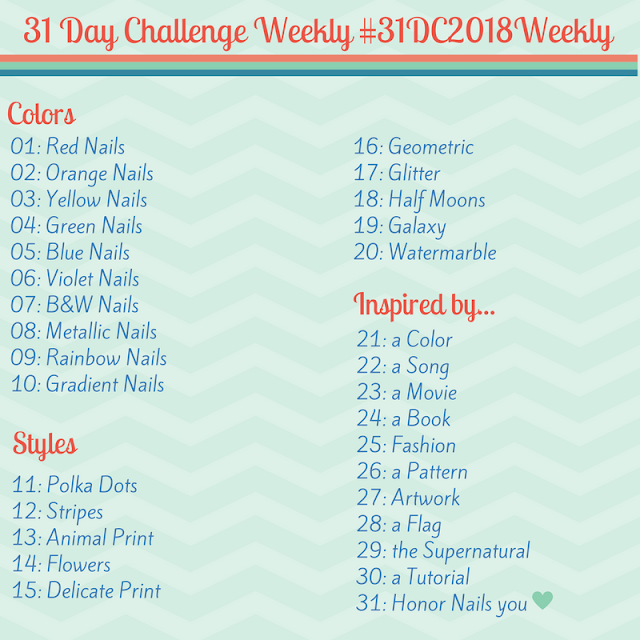 I recently decided to try and participate in the 31 day nail art challenge! I've never done a challenge before, and this one has always looked like so much fun. Day 1 is red nails and since red is my polish color of choice it's a great start. For today I tried something that I've been wanting to since I first saw the Abstract Brushstrokes from Chalkboard Nails, who is like my nail art idol.. you should check out her blog, she's amazing! The technique involves making random brushstrokes all over your nails, sounds easy right? Well it was a bit trickier than it appeared. The trick is to use very small short brushstrokes in every direction and to use a bunch of different nail polishes. With this monochromatic manicure using different finishes was crucial. I really like how it turned out though, it was very pretty and had lots of depth! For more photos and more on the 31 Day Challenge click read more! Sadly I don't have a list of the polishes I used. I pulled out most of my red Zoya nail polishes: jellies, cremes, shimmers, and glitters all combined to form the gorgeous abstract brushstrokes. 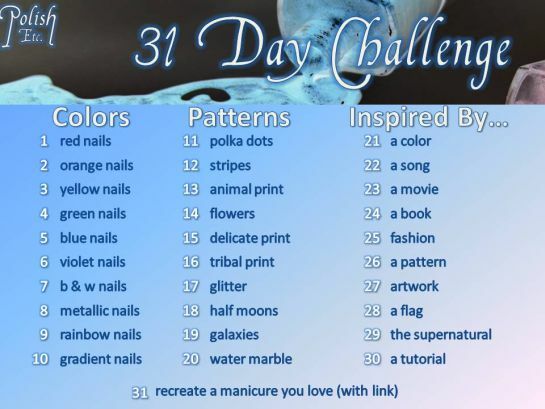 The challenge involves posting a different mani each day that corresponds with the nail art challenge of the day. It starts out easier with just simple colors then moves to trickier nail art such as dots and patterns and ends with some "inspired by" manicures. I will be combining my challenge posts along with some regular material. I'm going to do my best to keep up with the challenge, but if I miss a day I'm going to do just that.. miss a day. I'll pick up the next day and try to keep going through the end of September!